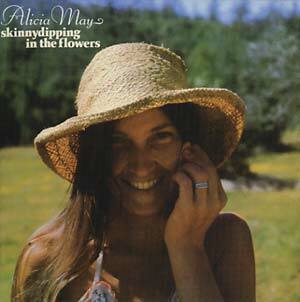 "One of the most accomplished privately-pressed singer-songwriter albums of the 1970s, multi-instrumentalist Alicia May's Skinnydipping In The Flowers becomes widely available to the international audience for the first time on this CD reissue. Its buoyant, joyous spirit is expressed with pure, sparse yet diverse arrangements rare among Southern Californian singer-songwriter albums from the era. Includes one previously-unreleased bonus track. First official release; LP miniature sleeve including obi; 24-bit digital remaster from the original master tape; liner notes by Richie Unterberger (including lyrics)."